6 Fabulous halls and corridors that take advantage of space ! The corridors, stairs , halls, have very interesting and often unexplored decorative possibilities. In addition to its function of connecting the rooms and spaces and creating an soft transition from outside to inside or serve as a bridge between two levels, they have the responsibility to create a decorative balance that harmonizes the aesthetics of the spaces it unites. That is why it is so important to learn to decorate them in the best way. In this ideabook we will show you how to get the most out of the transition spaces such as halls and corridors . This entrance hall uses curved lines, while walls and white lighting to create a sense of volume. 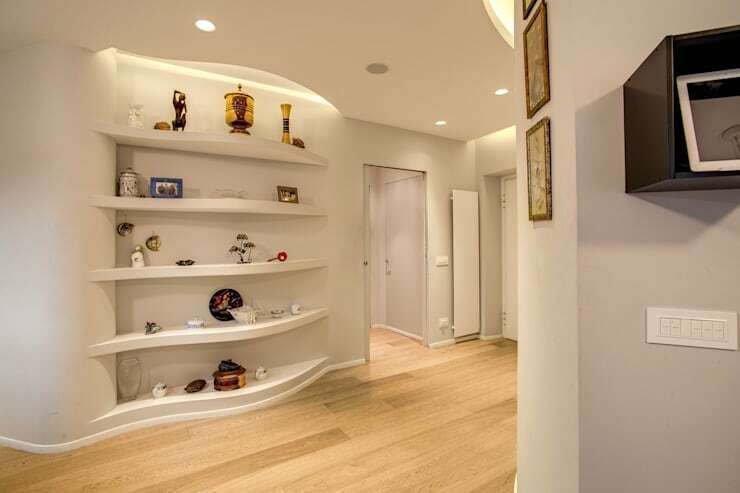 You will notice it in the false ceiling and the shelves that mimic its curve, that creates a beautiful decorative area, that can store all your prized possessions. Here are 8 smart tips for a great entrance. 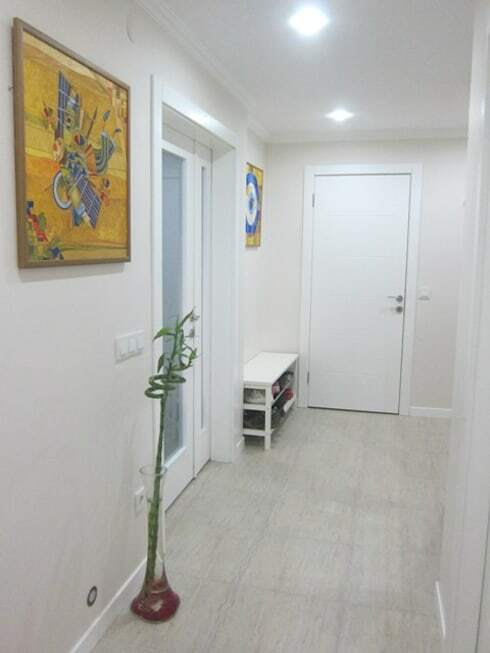 In this entrance hall, the sense of space has been achieved with flawless white and bright lighting with few colored elements to create a cozy and attractive space. The paintings break the monotony of the white small furniture that almost blends into the surroundings adds charm. 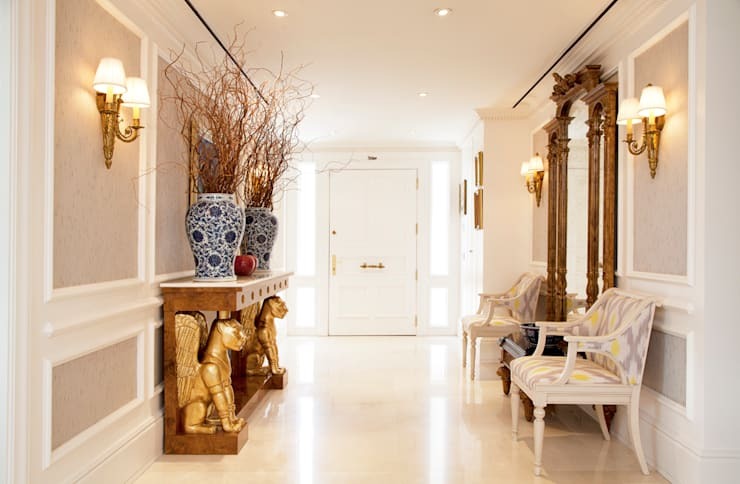 See few fabulous foyers that make a perfect first impression. Bringing together striking decorative elements from different places and cultures, this entrance hall becomes an unforgettable and unique space. Here are some decoration ideas that will make your entrance stand apart. The classic style in its most sumptuous presentation continues to have many fans. 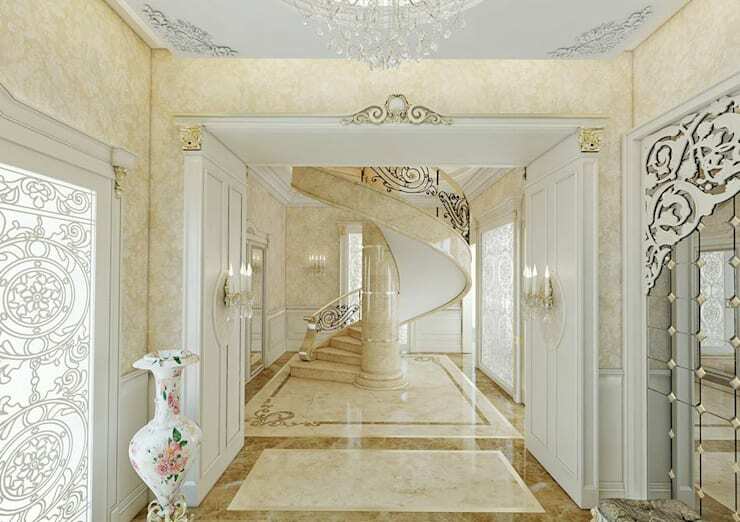 Here is an elegant, larger than life entrance hall, with marble flooring and walls, spiral stairs, and a touch of metallic sheen to add to the glitter and glamour. This proposal focuses on the different textures, which range from the floor to the ceiling, soaking the entire space with a very special rustic air. 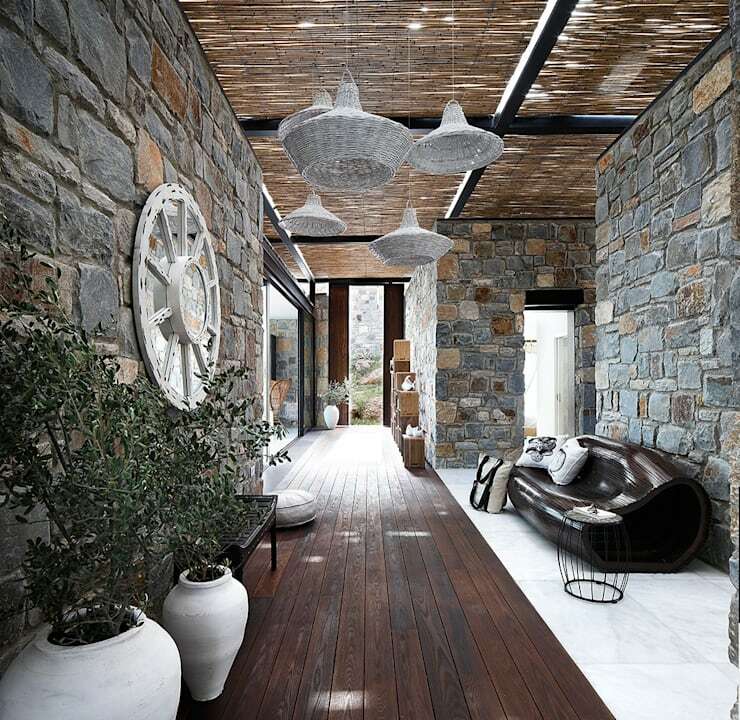 The stone walls, the wooden flooring and the textured hanging lamps help create a simple yet beautiful entrance hall that will captivate every guest who visits you. Love rustic? Here are 7 doors to give your home rustic charm. A symphony in gray and white is intertwined with elements that bring interest and an accompanying artificial lighting. 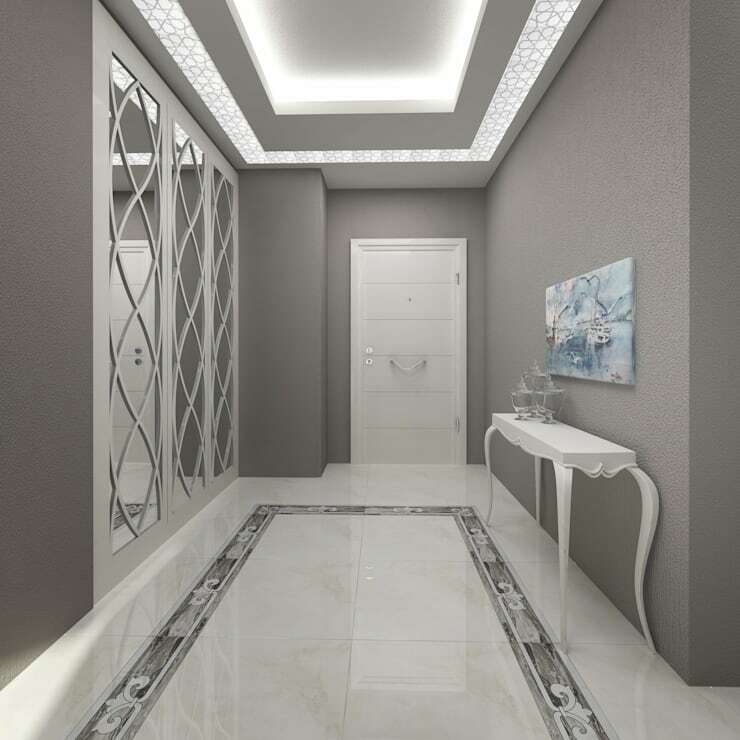 This hall looks subtle, classy and elegant, creating a relaxing and calm atmosphere. Here are 12 entrance ideas that will make your guests take note. Among all these lovely looking corridors and halls, which one did you like the most?